According to today’s Daily Record, the latest Dutchman to be linked to the Premier League currently plies his trade in Scotland in the heart of Glasgow Celtic’s defence. 23-year-old Virgil van Dijk has been scouted by Sunderland ahead of a possible bid that would probably need to far exceed the £2.6 million that his current team paid FC Groningen for his services. In his first season at Parkhead, he won the Player of the Year award and has impressed largely since his summer move last year. Swansea were previously linked to the big centre-half, but were scared off by his hefty price tag placed on him by Celtic, who are in no hurry to sell the constantly improving defender. After a deal for Ashley Williams fell through, the Black Cats manager Gus Poyet seems keen on van Dijk to fill a void left by the release of Carlos Cueller and Andrea Dossena in their defense. The aging Wes Brown and John O’Shea are currently holding down the fort but a young aggressive defender who can score goals would be perfect for a team in transition and Gus Poyet seems keen to make that happen if his recent scouting is anything to go by. 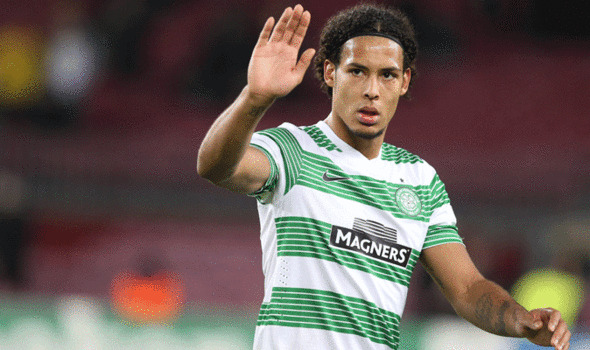 Van Dijk began his career at FC Groningen where he appeared 62 times scoring seven times, and moved to Glasgow in 2013 where he appeared for Celtic 36 times scoring five times.